A man has been arrested over alleged threats against Gina Miller - the woman behind the Brexit legal challenge. The 50-year-old man was detained in west London on Wednesday on suspicion of racially aggravated malicious communications. He has been bailed until mid-February. It follows a complaint made on 6 November relating to online threats. The Met has also issued also eight "cease and desist" notices to individuals across the UK. It advises recipients that to continue with their current actions or behaviour could result in police action. "I've been told that as a coloured woman, I'm not even human. 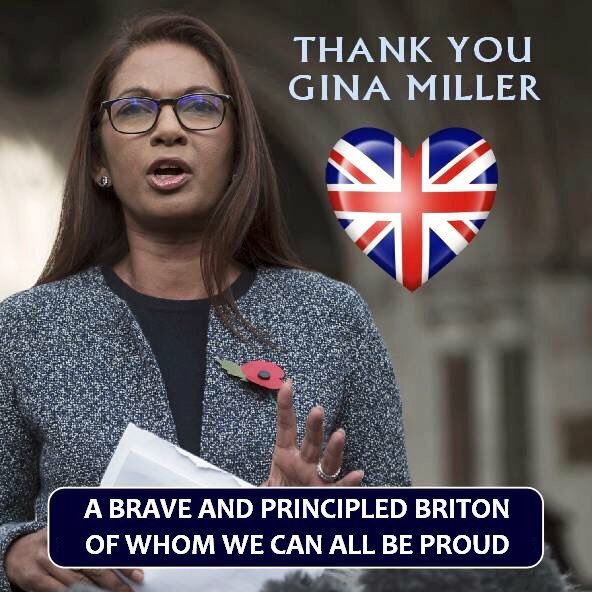 I'm a primate, so I should be hunted and have my head mounted," Gina Miller told the LBC radio station. She added that campaigns calling for people to do "horrible sexual acts to me", had been set up on social media. Others had threatened to make her "watch my family be killed and burned", while some had suggested she "should be the second Jo Cox", a reference to MP and mother of two, was shot and stabbed to death by neo-Nazi Thomas Mair in her Batley and Spen constituency. Mair, an unemployed gardener, was given a life-sentence for the crime in November.